Roses, a UFO, Spartacus and Communists. What do all these things have in common? A rather sizeable country in South Eastern Europe. I never planned to go to Bulgaria, but I met a Canadian and a French guy in Lithuania and they just kept going on & on & on & on about it. I guess it sparked a flame of interest. I did a teeny bit of research, but pretty much just stole the Canadian’s itinerary. I was pleasantly surprised it was my kinda place. And that’s not just because it’s old Thrace – the homeland of mega babe Spartacus. The subdued romantic in me loves roses, and Bulgaria is the land of the rose. 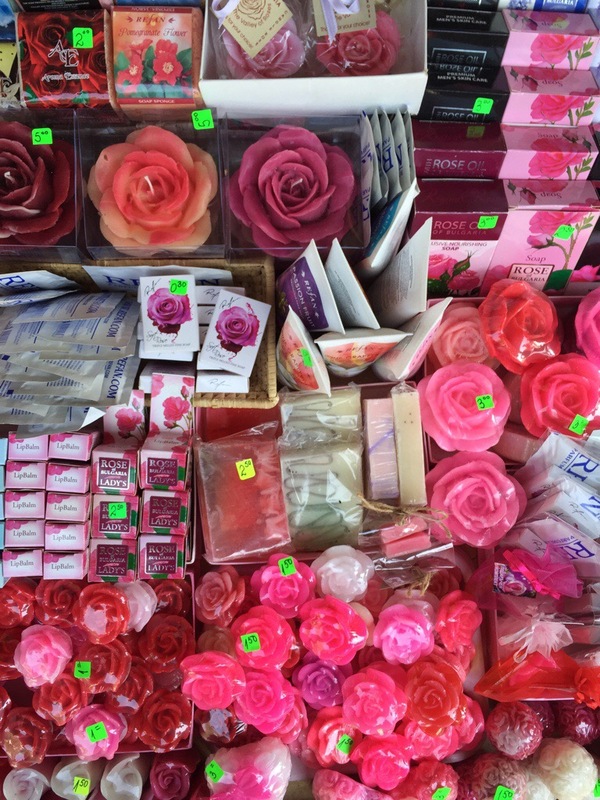 It’s one of the world’s biggest producers of rose oil, and they sell an abundance of rose trinkets, perfumes, jam, soap, liquor, water and skin products. Just seeing it all made my inner romantic bloom. I’d never call myself a die hard sci-fi fan, but even I can appreciate an abandoned UFO. 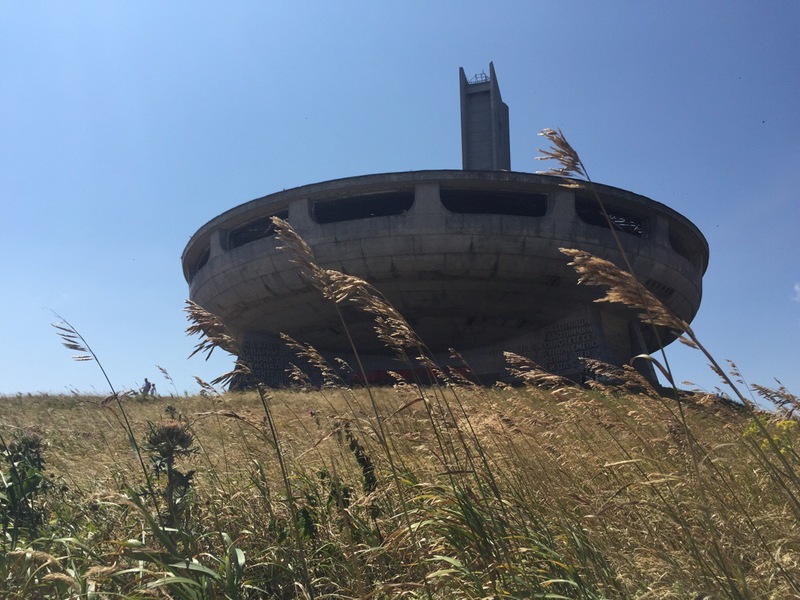 If I didn’t know it was a communist relic from the 80s, I would’ve been convinced the eerily derelict Buzludza was left by aliens. Trespassing through a tiny hole in the wall and climbing 31 narrow rungs of stairs in the pitch black was straight out of a movie. And I hate to go on about food, again. But, it was pretty fantastic. 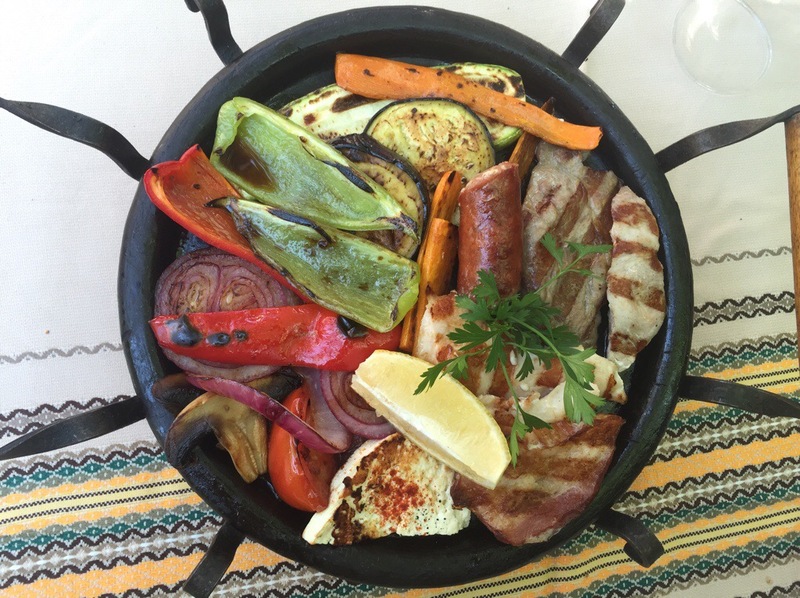 Bulgaria shows neighbourly love from the Greek and Turkish – with Mediterranean veggies, cheese, cheese, fresh juices, grilled meats, cheese, yogurt and tasty stews. Cheese comes with most things. They also have this great salty yoghurt drink which tastes about as good as it sounds. It’s like Kefir and said to be good for the heat, digestion and hangovers. I got to put it to the test of several occasions. It’s a really hot place after all. Scientists discovered Bulgarian yoghurt has its own unique bacteria that elongates life. I drunk it in bulk. Along with wine. And since they’ve been making it since Thracian times it’s pretty great. Except the one homemade batch we had that tasted like detergent, unfortunately we’d ordered it by the litre. And then there were the only in Bulgaria moments. Getting to see the restoration of a 12th century monastery in process. 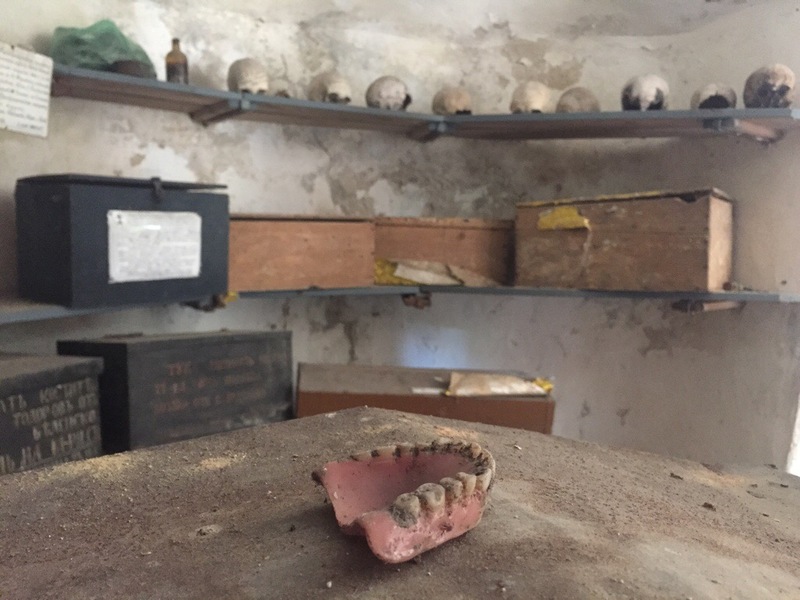 Exploring the same monastery, and stumbling upon a creepy room full of skulls, and bones in boxes. The homeless looking local collecting signatures in his book, trying for the Guinness book of records. The bus that was full but the driver let me on anyway because he felt sorry for me. 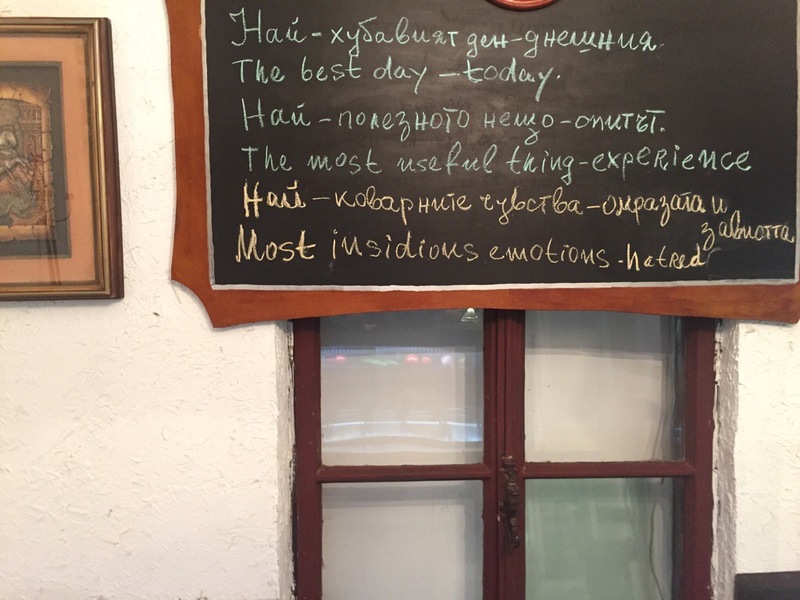 The many fun moments trying to understand the Cyrillic alphabet. Which for the record it turns out the Russians took from the Bulgarians. All in all it ticked the main boxes for me. Cheap. Friendly locals. Not too many tourists. Sweet travellers on the journey. I unfortunately didn’t run into any Spartacus dopplegangas, but hey, you can’t have everything.